The very idea of Montana conjures all kinds of images to mind; Cowboys, Vast prairie, Towering mountains, Wader-clad fly fishermen, Daring backcountry skiers, Hulking grizzly bears, and majestic, mysterious elk. And while Big Sky Country will always be associated with the Wild West and outdoor adventure, it’s making its mark in a new arena—craft brewing. Montanans like to work hard and play even harder, a way of life that’s often celebrated with post-adventure drinks at the local brewery. Great Falls is home to a variety of unique watering holes and, with a plethora of hiking trails nearby, these establishments are the perfect place to wrap up a long day of hiking, biking, fishing, kayaking, rock climbing, or rafting. 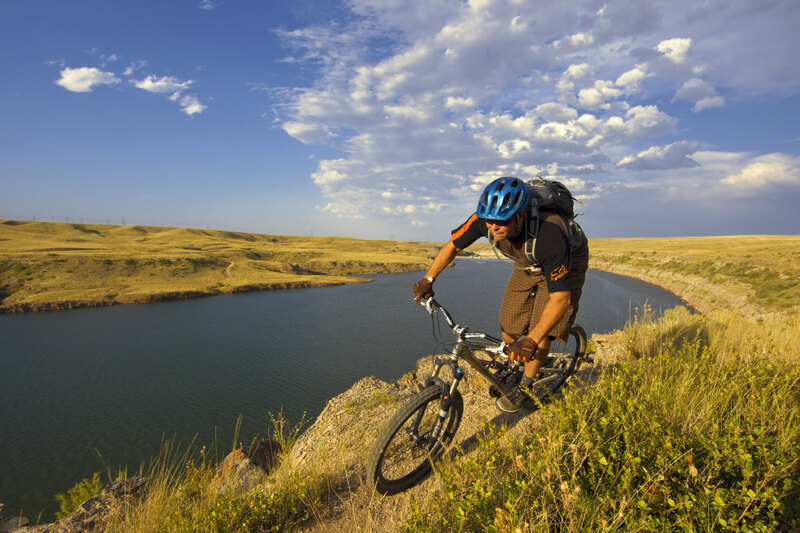 The River’s Edge Trail covers 58 miles of the Missouri River in and around Great Falls. Great Falls takes its name from one of the five waterfalls on the Missouri River, which meanders through the center of the city. This 4.5-mile trail runs beside the most scenic of the falls and subsequent dams, offering a comfortable stroll in close proximity to town. A mild elevation gain of only 308 feet makes the loop appropriate for hikers of all ages, and the trail is commonly used for hiking, nature trips, and birding. It’s a local favorite for pre- or post-work strolls, and is best enjoyed from April through late autumn. After a stroll along the river, head to Black Eagle, just north of Great Falls, for a stop at Black Eagle Brewery. 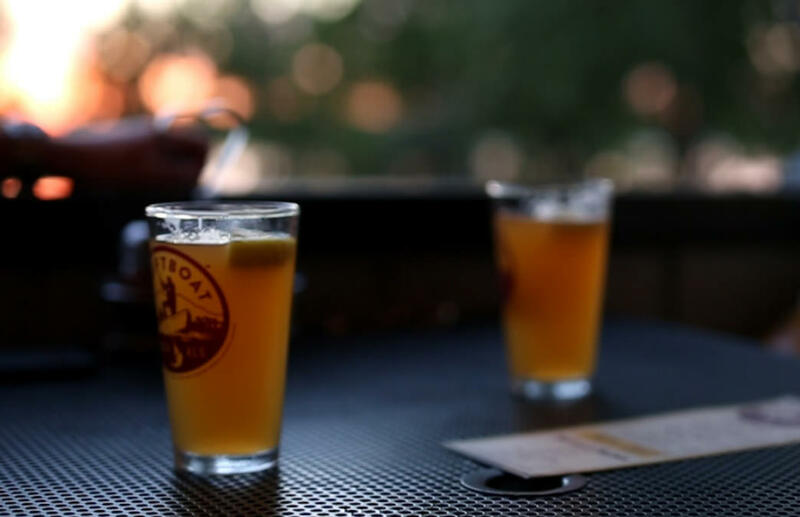 The bar and grill is a local’s favorite known for its friendly staff and offers home-brewed concoctions such as Black Eagle IPA, Smoke Stack Scottish Ale, and Copper Nail Nut Brown Ale. 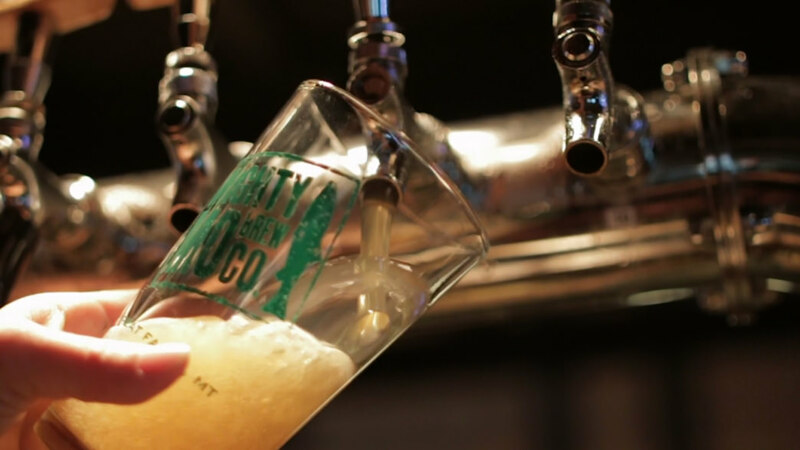 Five rotating beers are kept on tap, including a special nitro tap. The small, cozy taproom makes for a comfortable respite after a day of area adventuring. Explore mountain biking on the Mayhem Trails. Any mountain-biker will want to check out Mayhem, a maze of technical and expert off-road trails that begin just east of the Lewis & Clark Overlook of Rainbow Falls at the east end of Giant Springs State Park. The section is connected to the River’s Edge Trail along the reservoirs just east of Great Falls. You’ll find well- marked trails for a wide variety of skill levels here, with something for everyone. In addition to the excellent riding, you’ll enjoy views of the rugged river canyon and plenty of birds and wildlife to be seen. After the ride, you can’t go wrong with Big Mouth BBQ on Third Street, a local favorite that was created by a Texas native who wanted to bring that state’s traditional barbecue to Montana. You’ll find such staples as brisket, pulled pork, and smoked ham, as well as burgers, sausages, and tacos. Try the Texas Brisket Chili or the Cowboy Cocktail, one of the restaurant’s signature dishes, which features baked beans topped with your choice of barbecued meat, sauce, and either cole slaw or potato salad. It has a full bar as well, or you can head next door to The Front Public House (under the same ownership), which is known for its variety of craft beers. The Mountain Man, a Scotch Ale, is a local favorite. A long-time favorite of Great Falls locals, the Sip ‘n Dip has gained international acclaim. 30 miles southwest of Great Falls is Tower Rock, one of the area’s best-known landmarks. The 400-foot high igneous rock formation was a landmark for Native Americans, trappers, and fur traders. On the Lewis & Clark expedition, Meriwether Lewis wrote of the location: “This rock I called the tower. It may be ascended with some difficulty nearly to its summit and from there it is a most pleasing view of the country we are about to leave.” The formation is now part of Tower Rock State Park, and you too can enjoy the hiking and impressive views of the area. You can also learn about the geology and history of the site with five interpretive panels located at the trail head. 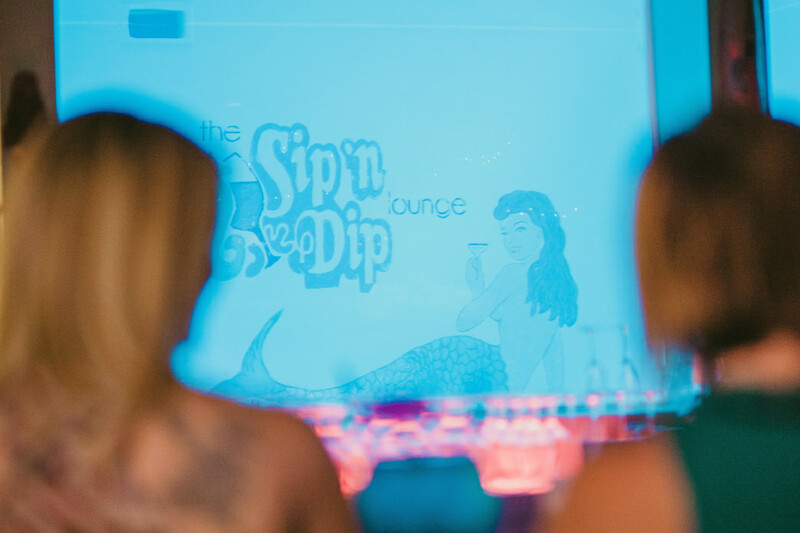 A long-time favorite of Great Falls locals, the Sip n Dip is gaining international acclaim thanks to its unexpected, unique feature—swimming mermaids. A pool is housed behind the bar, separated from visitors by glass walls, and friendly mermaids swim in the waters beyond. 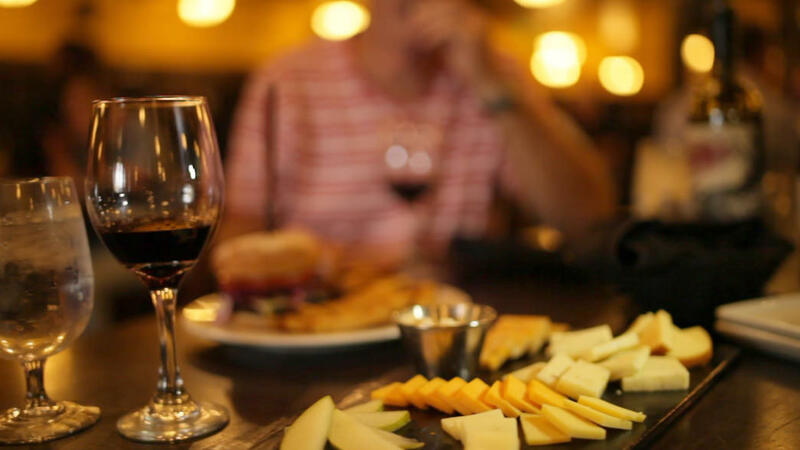 GQ Magazine rated the Sip ‘n Dip as the #1 bar on earth worth flying for in 2003, and Wednesday through Friday nights feature live piano music from local legend Piano Pat Spoonheim. While the beverage offerings may be comfortably basic, the experience alone is worth a visit. Stop downtown at Great Falls’ Mighty Mo Brewery after a long hike. The small, unincorporated community of Highwood is located roughly 30-minute drive northeast of Great Falls. The Highwood Baldy Trail is a moderately rated 6.1-mile out-and-back trail tucked into a classic Western forest setting, and it is popular for hiking and trail running. The trail gains a considerable 3,231 feet of elevation over the six-mile course, posing a comfortable day’s excursion for fit hikers. After a challenging day hiking, a stop at downtown Great Falls’ Mighty Mo Brewery will refuel tired muscles. A full kitchen offers pizza, wings, sandwiches, salads, and more (the beer pretzel bites are a local favorite), and a variety of beers brewed on-site are on tap and ready to quench your thirst. From the Smoke Jumper Scotch Ale to Rendezvous Red ale, the brewery is always cooking up new favorites. The “Randall infusion” is a highly anticipated rotating special—brewers infuse Earl Grey tea with their Rising Trout Pale Ale. The Celtic Cowboy was named Montana’s Best Irish Pub. A short, 15-minute drive from Great Falls, the Sulphur Springs Trail is a meandering 3.6-mile hike suitable for all skill levels. Surfaced with gravel, the trail rarely becomes muddy and therefore is often hikeable during springtime snowmelt when other trails are not. The pathway leads to the sulphur spring used to treat Sacagawea when she became ill as the Lewis and Clark Expedition portaged around the Great Falls in 1805. 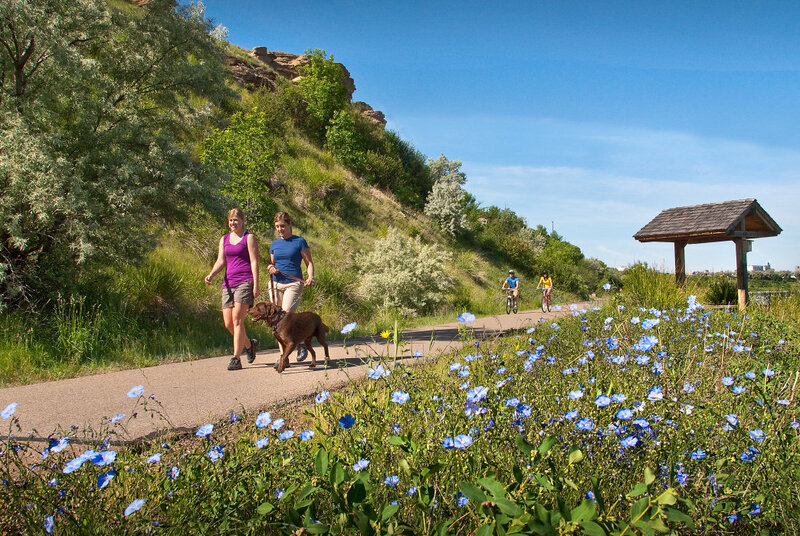 The trail is open only to hikers—no bikes are permitted—and a loop at the end of the trail leads to a scenic overlook surveying Belt Creek as it flows into the Missouri River. In the 1890s, Welsh immigrant Robert Vaughn, who was the first European settler in the county, built a livery stable, freight transfer office, teamster boarding house, and green grocer in what’s now downtown Great Falls. He became one of the town’s most prominent citizens, and earned the name The Celtic Cowboy. Today his legacy lives on in one of the few remaining buildings from the early days of Great Falls, in the Irish pub and restaurant named for him. The Celtic Cowboy, located at 116 1st Avenue South, looks and feels like a traditional Irish pub, with a few western influences thrown in for good measure. Enjoy a draught beer along with your bangers and mash after a day on the trail. Stick around for live music on many nights.